This is cool fishing t shirt has the stripes of the flag made of fishing lures and one stripe as a fishing rod. It is a great birthday, Father’s Day, or Christmas gift for fishing enthusiasts. The lightweight and classic fit T shirt is machine washable. Comes in 4 different colors. This T-shirt has a cool design. 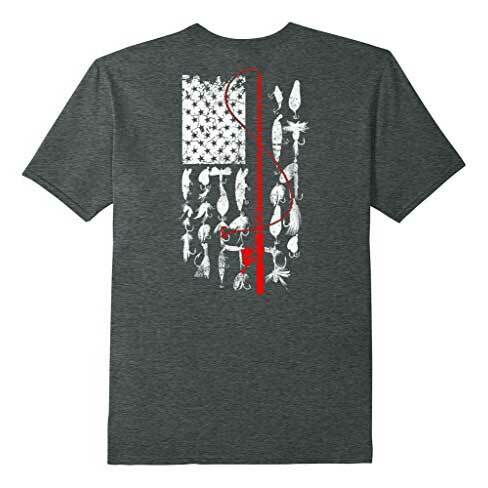 It depicts an American flag, except the stripes are made of fish and the red strips are represented by a fishing rod and reel. There are many size and color options available. To see all just click the image above.